Wonder Comics teaser art featuring Naomi, the Wonder Twins, Dial H for Heroes, and the original Young Justice. 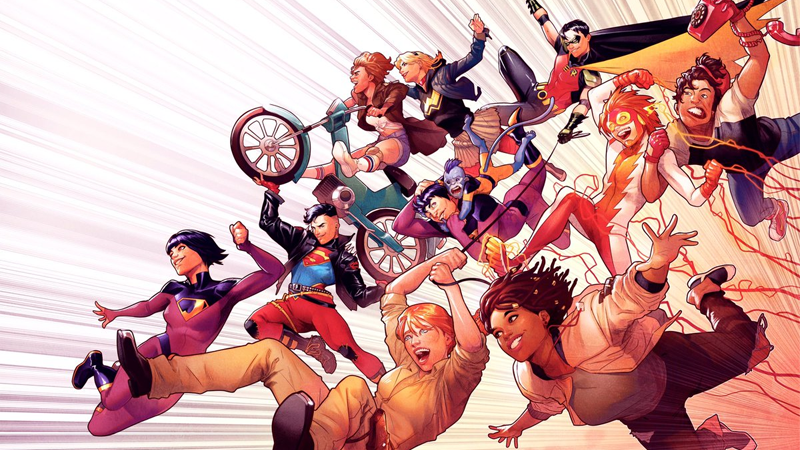 The beloved Young Justice animated show isn’t the only thing making a comeback—the original teen team-up comic itself is making a return to shelves, headlining a new comics imprint curated by Brian Michael Bendis. While Bendis will “curate” the line, he won’t be involved with every book in the initial roster. He’ll co-write Naomi with David Walker, featuring art from Jamal Campbell, a new series based on a new young hero. 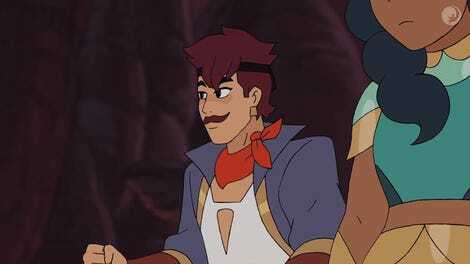 Meanwhile, Mark Russell and Stephen Byrne will lead a new reboot of the Wonder Twins, the first time Zan and Jayna will be seen in DC’s post-Rebirth continuity. Sam Humphries and Joe Quinones round out the extra teams with a new take on the classic Dial H for Hero book, described as an “updated take on the Silver Age classic” about a magical dial that could let ordinary people temporarily become superheroes in times of crisis. That leaves the heaviest hitter of Wonder Comics, the new Young Justice book. It doesn’t build on the animated series (which got its own short-lived comic series in 2011); rather, it’s the original Teen Titans continuation after that team was aged up and rebranded as simply Titans in the late ‘90s. The new Young Justice—written by Bendis and with art from his Action Comics partner Patrick Gleason—will reunite the original team. Given that it’s in-continuity with DC’s current comics, that makes for some interesting returns. Tim Drake’s Robin and Donna Troy’s Wonder Girl will be reunited with both the Connor Kent version of Superboy and Bart Allen as Impulse, as well as a new character for the series dubbed “Teen Lantern”—a young girl who hacked a Green Lantern Corps power ring to use for her own. Given the show’s return, it’s an interesting time to bring the team back—especially as the vanguard of another new imprint from DC. More comics for everybody!